Once you’ve gotten your college student all settled into their dorm at Wake Forest University, or before that LJVM Coliseum game or concert, consider chowing down at one of these nearby restaurants. 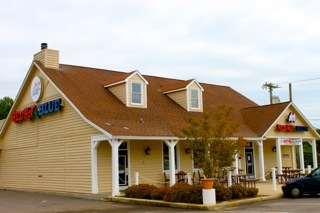 1703 Restaurant in Buena Vista offers fine dining and many farm-to-fork selections. Reservations recommended. We mention El Triunfo primarily because it offers something different. It may be the only Salvadoran restaurant in town. You’ll find a menu with excellent pupusas and plantains on the side. Fabian’s is fine dining and has one seating per night. Dinner is served at 7pm sharp. The chef rings a bell and announces the choices for the evening. 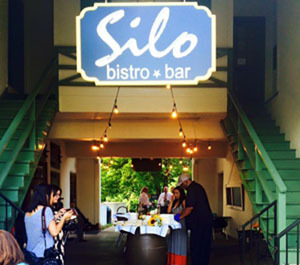 This is one of Winston-Salem’s original farm-to-fork restaurants, locally sourcing for the freshest ingredients and meats. Seating is limited and the space is intimate, so be sure to make a reservation for this special eating event. One of the newest restaurants to open in Winston-Salem. Located in the former Old Staley’s (Frankie Rollands, etc.) 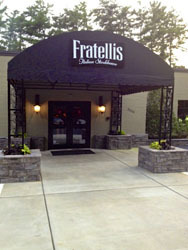 building, you will find steaks as well as Italian food on the menu. 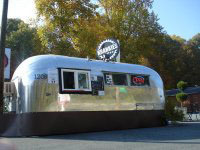 This fun Krankies Airstream offers drive-up service on both sides and their friendly baristas serve up the tastiest cup in town as well as teas, sandwiches and baked goods from Camino Bakery. Can’t go wrong with their lattés. Tip: Bring your own commuter mug to get a regular coffee for only $1.25. Now take a seat at Coffee Park just behind the Krankies Airstream, where you’ll find fresh local baked goods to go with that cuppa! A humble locale but known to make one of the best steaks in town. The patio is not bad either if you are looking for somewhere to sit outside with a beer and some bar snacks after work. Ryan’s is an old-school fine dining choice, from the décor to the menu. That said, the food is consistently good, the portions are plentiful and the service is typically friendly. The dining room windows look out on a wooded landscape. Call for a reservation, especially on Wake Forest Graduation weekend. Another newly opened food option in the Reynolda Village shopping center. 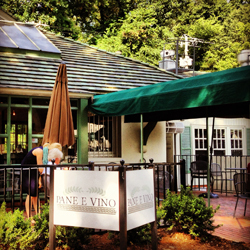 They feature gourmet foods, deli meats, cheeses, wines and other delights. And you will also find a lovely patio to enjoy a picnic during warm weather. This is the original Village Tavern. 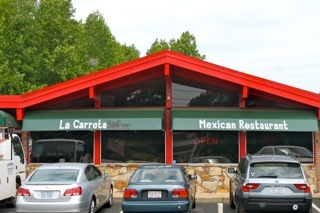 It is a cozy favorite of locals and Wake Forest families. The food is reliable with a wide variety of price points and choices ranging from salads, sandwiches and small pizzas, to an almost $30 steak. Favorites include the spring rolls, pork chops, and homemade chips with ranch dressing. Gluten-free menu available. Great outdoor seating as well as booths and bar seating inside. There is often a wait. Hi Kristi, I’m not sure if you will receive this but this is Mark Noda and I am the manager at The Grille at McCreary Tower. I noticed that you have our restaurant crossed out on this list. Who do I contact to correct this? Thanks, Mark! I think at the time, I crossed it out once Deacon Grille closed and we weren’t aware of the the reopen and name change. Thanks for letting us know! I’ve updated the post!